WASHINGTON, DC - More than 50 members of Primaveral Association, a greater DC metro area Guatemalan Hometown Association, took to rods and reels this past Sunday for a freshwater fishing experience at Burke Lake Park. The program held by the Virginia Department of Game and Inland Fisheries and Hispanic Access Foundation as part of the 5th annual Latino Conservation Week, taught multi-generational families basic fishing instruction, water safety, and hands-on conservation and aquatic stewardship activities. 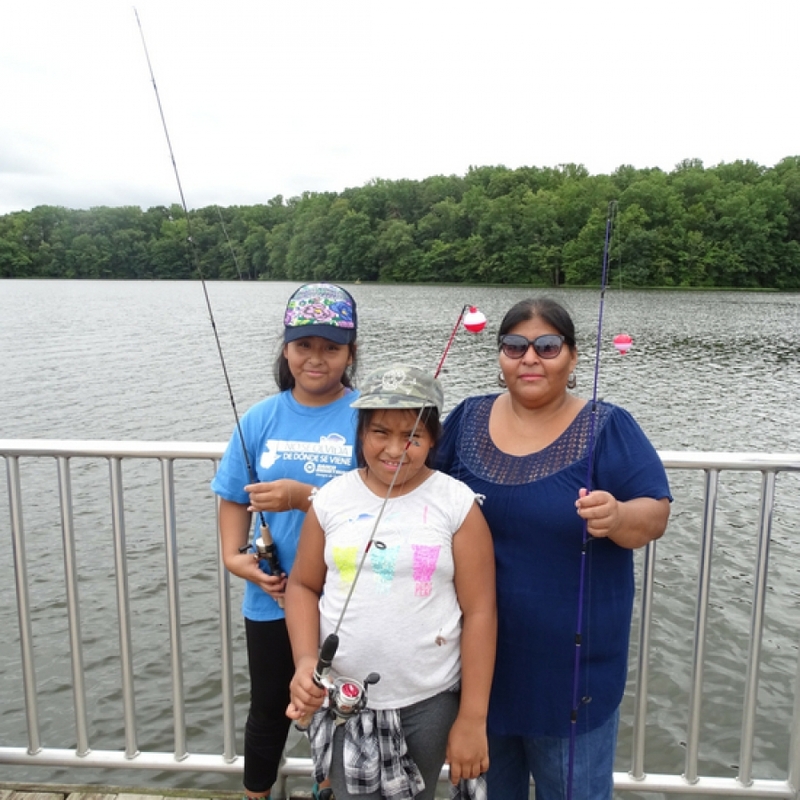 "The Virginia Department of Game and Inland Fisheries strives to make positive impacts on Latino families in Virginia through fishing and conservation education. A priority for DGIF is to connect all people with more information, access and opportunities to participate in outdoor recreational activities in Virginia," said Eddie Herndon, Recruitment, Retention and Reactivation (R3) Coordinator for DGIF. "This can only be achieved through partnerships with organizations like the Hispanic Access Foundation. With their continued help and collaboration, DGIF hopes to make significant strides to connect Latinos to the outdoors for years to come." Virginia has the 16th largest Latino population in the nation and the University of Virginia projects that by 2040 Latinos will make up nearly 23 percent of the state's population. Yet only a fraction of the state's anglers are Latino, which underscores the importance of introducing the sport to the community, as they will play a critical role as environmental stewards in the future. Pictures available for publication can be accessed at https://www.dropbox.com/sh/nztf4ngklzkjsx0/AACUWzR2dAj_wBAWLoWWBjTNa?dl=0.